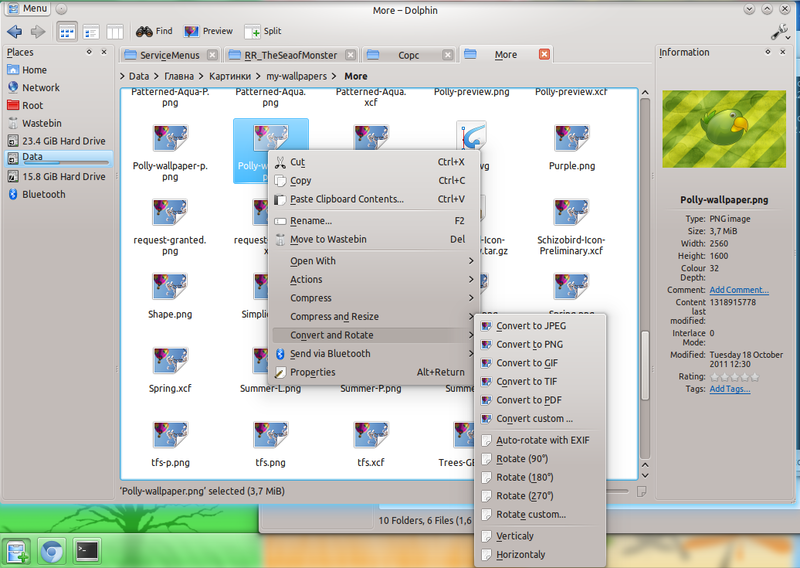 Making Dolphin Even Better: Add 'Service Menus' - OMG! Ubuntu! 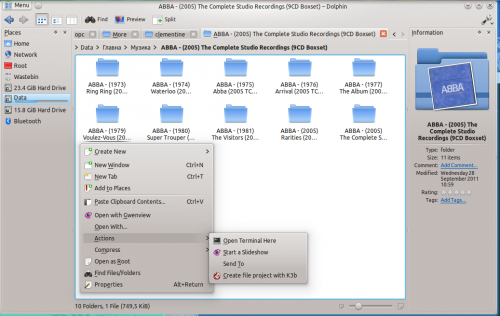 KDE – the desktop�environment�that gets no way near enough attention. I have no idea why that’s the case either – KDE is sleek,�customisable, has amazing apps and has great look and feel even out of the box. Among the things that I love most in KDE is it’s file manager – Dolphin. Dolphin is fast, looks great and is future-rich. Recently I’ve thought “How can Dolphin possibly get any better?” and today I stumbled�upon a very neat and useful tweak for Dolphin that makes it almost perfect – service menus. Let me clarify what a�service menu does. Prime example for service menu is “Open Terminal” action from the right-click�drop-down�menu in the file-manager. Another example is “Open as root” from the same menu. 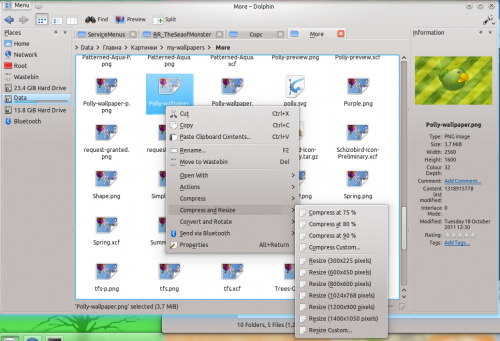 Or “Convert image” from the right-click dropdown menu on an image file. I can go on with more and more example, but there is no need for that, so it’s time to go ahead.